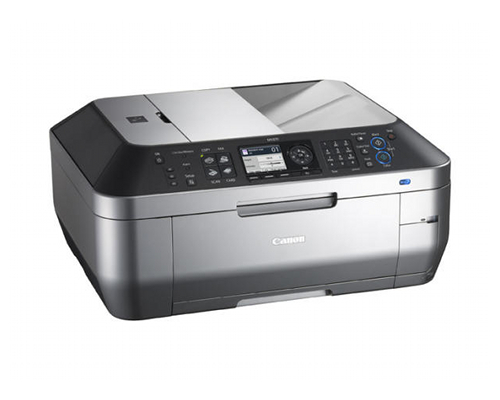 The Canon PIXMA MX870 is a consumer multifunction inkjet printer built to print, fax, scan and copy using high-definition inkjet technology and a number of features to make it easily accessed for the home or home network user. The printer measures 19.4" by 17.1" by 8.9" and weighs 26.1 lbs, considerably heavier than other models like it but still easily transported and placed alongside other consumer-grade equipment on a desk or table. The printer produces documents at a maximum resolution of 9600 by 2400 dpi in color and 600 by 600 dpi in black, above what's offered by many integrated inkjet units. It produces ink droplets in sizes of 1, 2, or 5 picoliters and has a total of 2368 nozzles through which it can dispense ink - 2048 for color and 320 for black ink - which is considerably lower than Canon's higher-end graphics printers. It produces a 4" by 6" borderless photo in approximately 39 seconds and has ratings of 9.4 images per minute for black prints and 6.1 images per minute when printing in color. The printer supports paper sizes of 4" by 6", 5" by 7", 8" by 10", Letter, Legal, and U.S. #10 Envelope. It can print to plain paper and high resolution paper, as well as super high gloss photo paper, glossy photo paper, and matte photo paper. The printer includes a 35-sheet automatic document feeder, auto document fix, automatic duplex printing, auto photo fix, auto sheet feeder, borderless printing, document printing, photo printing, and template printing. Its auto sheet feeder can contain up to 150 pages. It also has a 150-sheet paper cassette. The copier produces color copies at a maximum speed of 4.3 images per minute and can reduce and enlarge documents between 25% and 400% in size. It supports 4-in-1 and 2-in-1 copy functions, auto exposure/intensity copy, auto duplex copies, borderless copies, fit-to-page enlarge/reduction, gutter shadow correction, image repeat, intensity, sorting through ADF, and zoom. It can also produce between 1 and 99 copies at a time. The scanner supports a maximum resolution of 2400 by 4800 when performing optical scans, 600 by 600 through its ADF and interpolated scans as high as 19200 by 19200. Internal scans can be performed up to 48-bit and external as deep as 24-bit. Its flatbed supports documents as large as 8.5" by 11.7" and its ADF supports documents as large as 8.5" by 14". The built-in fax transmits documents at speeds of 33.6 Kbps and 3 seconds per black page and 1 minute per color page. It has a memory capacity of approximately 250 pages and can speed dial up to 100 locations at once. It also includes answering machine connectivity, group dialing, one-touch speed dialing, redial, and remote reception. The unit includes support for wireless printing via 802.11b or 802.11g (it is also compatible with 802.11n). It can connect to wired devices via either 10/100 Ethernet or USB 2.0, and supports systems running Windows 2000 or newer or Mac OS X 10.4.11 or newer. To enable direct printing without a computer, the printer also includes support for memory cards, Bluetooth printing from phones and other such devices, and PictBridge support to enable direct printing from cameras connected as USB host devices. To configure the wireless printing options for this printer, you must first connect the printer via USB 2.0, though the setup time is fast and easy using the included driver CD. Many users complain that the printer's cartridges have short lifespans and require regular use in order to ensure function. 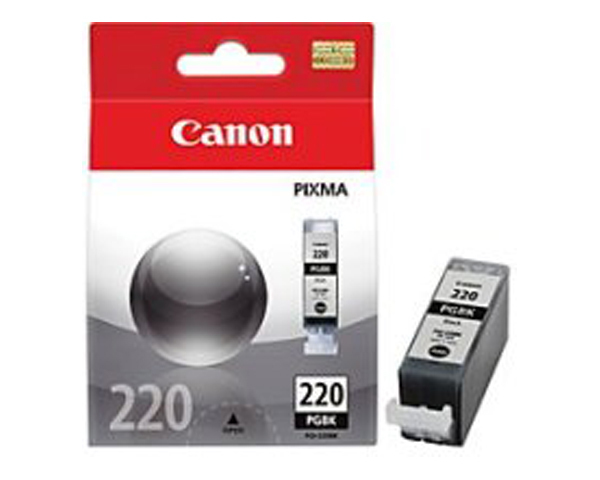 Review it: "Canon PIXMA MX870 "
The PIXMA MX870 has five ink cartridges split between magenta, cyan, yellow, matte black, and photo black. Unlike in some other printers, with the MX870 you do not need to swap photo and matte black, as the printer will automatically do this. 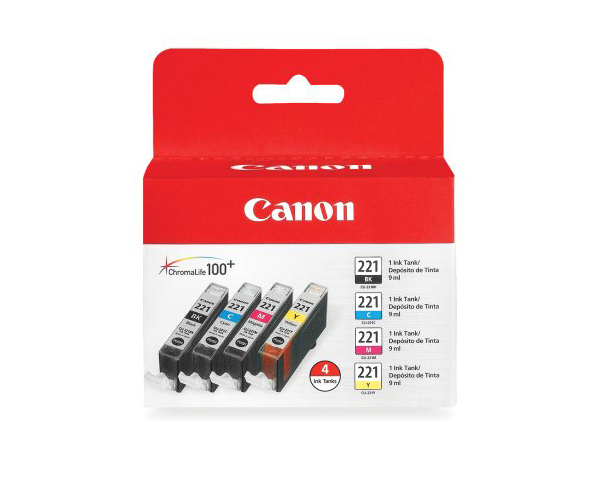 Cartridges have a relatively short life (actual ratings concerning sheets produced are unavailable) and require regular use so as to stop the printer's heads from clogging.